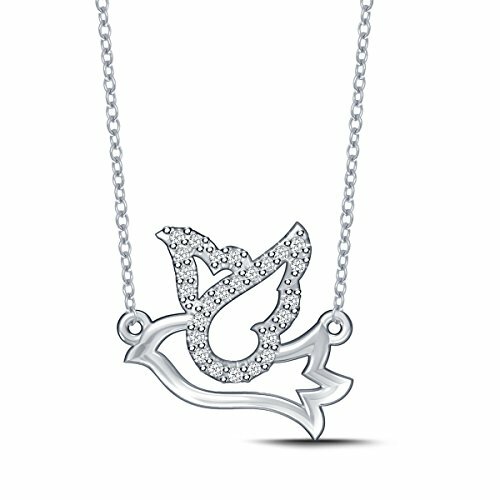 Sweet and serene, this peaceful dove pendant is a sparkling addition to her jewelry box. Fashioned in 925 Silver, the dove's wings are outlined with shimmering diamonds, while his polished body add eye-catching contrast. 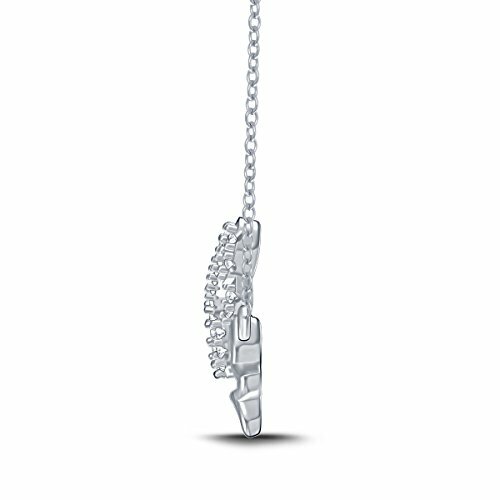 A thoughtful design, this pendant captivates with 0.08 ct. t.w. of diamonds and a polished shine. 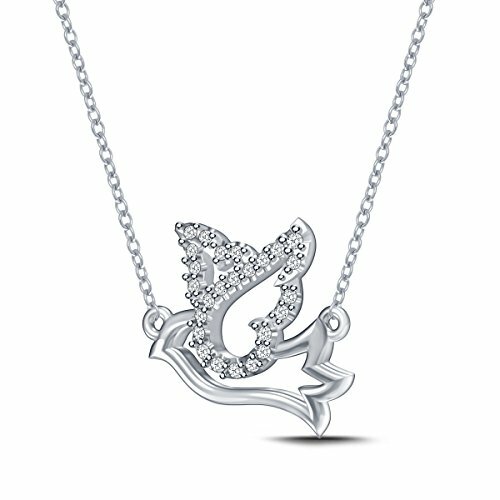 The dove glides freely along an 18.0-inch rope chain that secures with a spring-ring clasp. 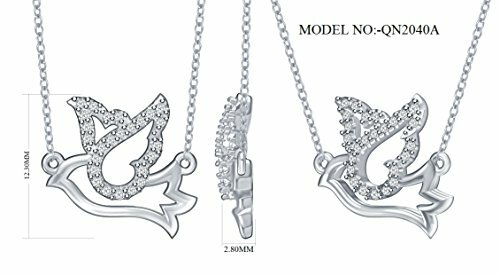 Diamond Dove Birdy Pendant Necklace. Comes with 925 Silver 18 inch rope Chain.